Are you segmenting your email lists? 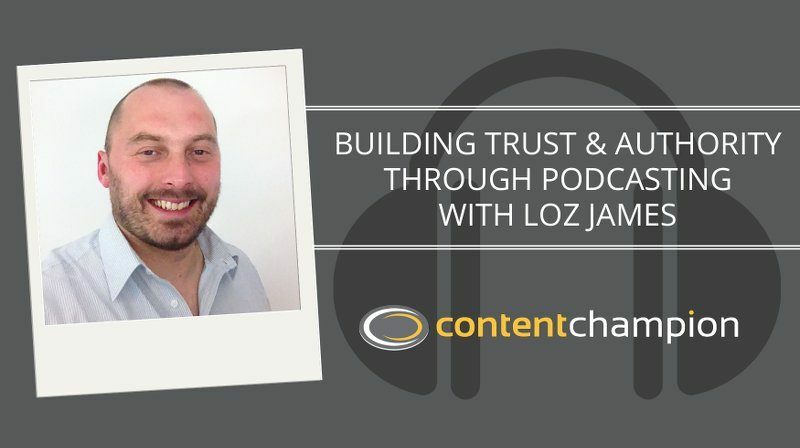 In episode 46 of the Content Champion podcast, I discuss email list segmentation and behavioural dynamic marketing with Rob Woodgate, creator of AWtomator – the amazing new marketing automation software for AWeber that I've been testing. It's fair to say that keen sailor, former cognitive therapist and successful online entrepreneur, Rob Woodgate, is an accomplished man. Deciding to leave behind a high-paying corporate career to start his own business, Rob ultimately found himself gravitating towards online marketing – and this is when his programming skills developed as a boy really came to the fore. Fast forward a few years and with several self-help products and membership sites under his belt, Rob branched out into developing a piece of email marketing software that he needed to help automate list building tasks in his own business – and the result of his hard work was AWtomator, the subject of today's show. An ingenious email marketing automation addon for AWeber – it turns the latter into a Swiss army knife by using easy-to-use ‘events' to trigger various actions and segment your lists. In short, it gives AWeber advanced behavioural dynamic marketing powers – without the entreprise level price tag. At the time of writing, I've been using AWtomator for just under three months, and the results have been incredible. My lists are more organised, more responsive and growing faster. So I was delighted when Rob agreed to come on the show and tell us all about his creation – and what it can do for our online businesses. Plus! The PS Question! Rob gives us a great tip for using AWtomator in a unique way to find out what our prospects really want! You can listen to the show using the players on this page, or click here to catch us on iTunes. You will also find the Content Champion podcast on the Blackberry network, Zune and Sticher. Thanks for this. I’ve been having a really hard time building an email list.